Despite the fact that sea buckthorn is one of nature's most healing plants, it often bothers the vacationers. Because this shrub grows to a decent size tree (up to 6 meters of height), you'll be enviable viability, and seedlings are often distributed on a fairly large area. Fighting with sea buckthorn is usually by using the uprooting. Good result also gives a chemical treatment. The fight with thickets of sea-buckthorn start in early spring with the spring digging the garden and cleaning her roots. Do not fertilize the soil in advance, do it just before planting the seedlings or seeds. The younger sea-buckthorn wikicite hoe and cut with a knife. 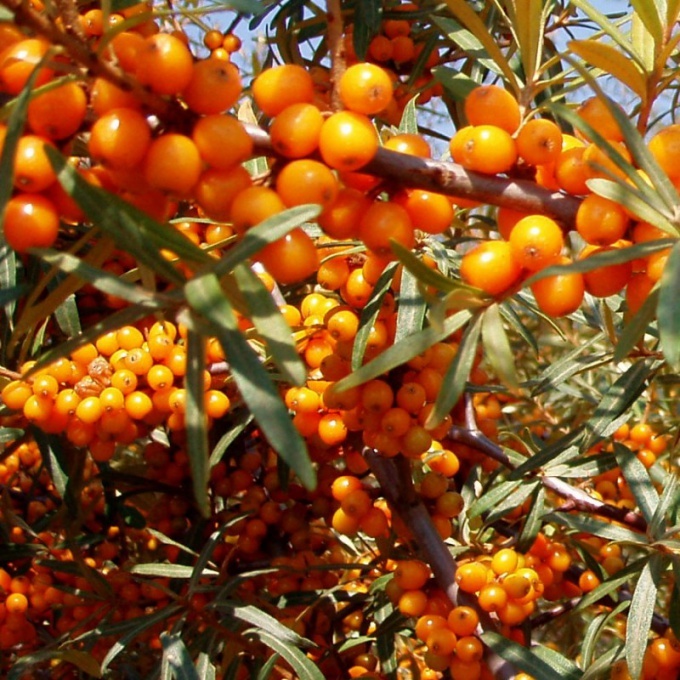 To prevent the formation of new shoots of sea buckthorn is possible only with careful cutting. If you leave a stump, the remainder dormant buds instead of one cut of an escape there are several new, and growing very actively. Try also to plant near buckthorn groundcover, and the space between it and other trees and garden beds to plant the grasses. This will prevent the shrubs to spread to further territories. If you want to completely destroy the buckthorn, take the package of 1 kg. of ammonium or of sodium nitrate dissolved in 2 litres of hot water and this solution pour the root of the tree. After a couple of days sea-buckthorn berries will begin to "burn out" on the eyes. Note that this solution kills all life on the distance of 1,5-2 meters from the watering, so be careful and don't touch the fruit trees and garden beds. Work is necessary only in special gloves, otherwise you will get a chemical burn. Applying to combat buckthorn different chemicals, don't forget about the safety rules and do not exceed the recommended proportion. Wear your respirator, gloves and clothing with long sleeves. This will help you to avoid poisoning with herbicides. After spraying the shoots of sea-buckthorn and soil where it grows, chemicals be sure to wash your hands thoroughly. If you want to not destroy sea buckthorn, just to protect it from further spreading, make sure the soil fertilizer under it. Usually buckthorn is spreading at the site, if not satisfied with the condition of the soil, then it begins to look for better land.